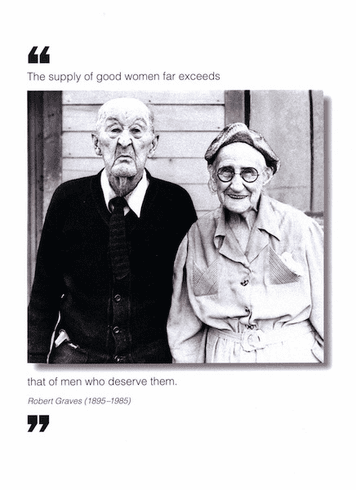 Outside: The supply of good women far exceeds that of men who deserve them. - Robert Graves Inside: Blank. Borealis Press card measures 5 x 7 inches. Includes envelope.